RAYNHAM PARK - Opened in August 1880 by the Lynn & Fakenham Railway, Raynham Park didn't really serve anywhere - except Raynham Hall, home of the L&FR chairman! The nearest villages, Helhoughton and Tatterford are tiny even today. 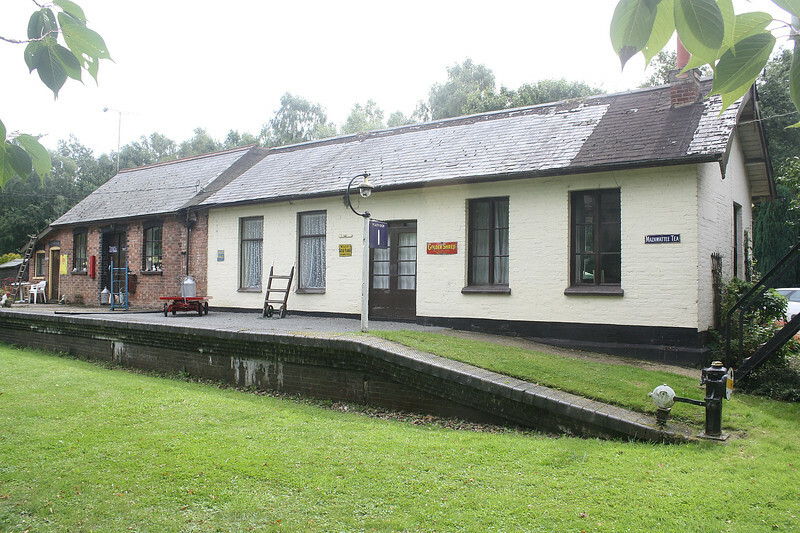 It closed completely in March 1959 but has been nicely resurrected by the present residents as private museum. Seen here are the main station buildings complete with accessories which, while perhaps not all strictly appropriate, we'll turn a blind eye to. Seen on 16/08/17.